Although an unusual-sounding combination, Francesco Mazzei's rich and fudgy chocolate cake shows just how well smoky aubergine can work in a dessert. 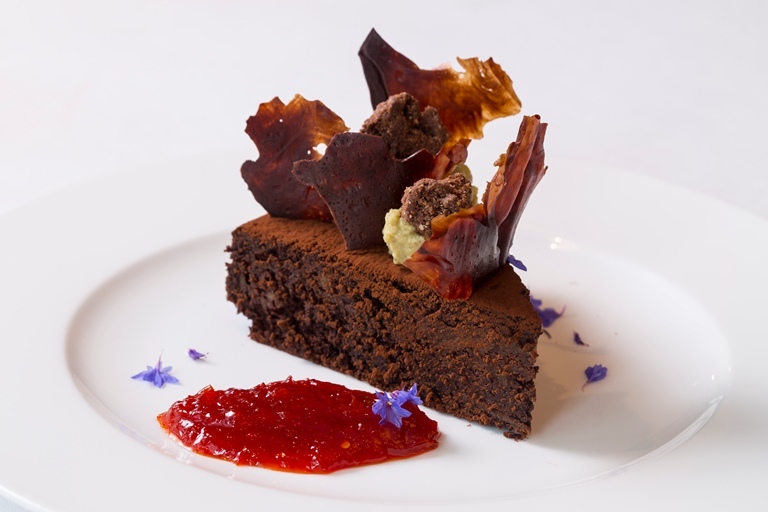 Making the most of the southern Italian love of mixing savoury and sweet, Francesco prefers to serve this dense cake with a spicy-sweet chilli jam and crisp cocoa shards although the cake is equally delicious on its own as a sweet snack. The chilli jam recipe will make much more than needed, but it keeps well in the fridge and is wonderful with other savoury dishes.